Photographer Andreas eosAndy brings us this glorious shot of an orc archer. Based on the notes on his Facebook page I believe player Motte Naska created this costume for a German LARP event in 2015. 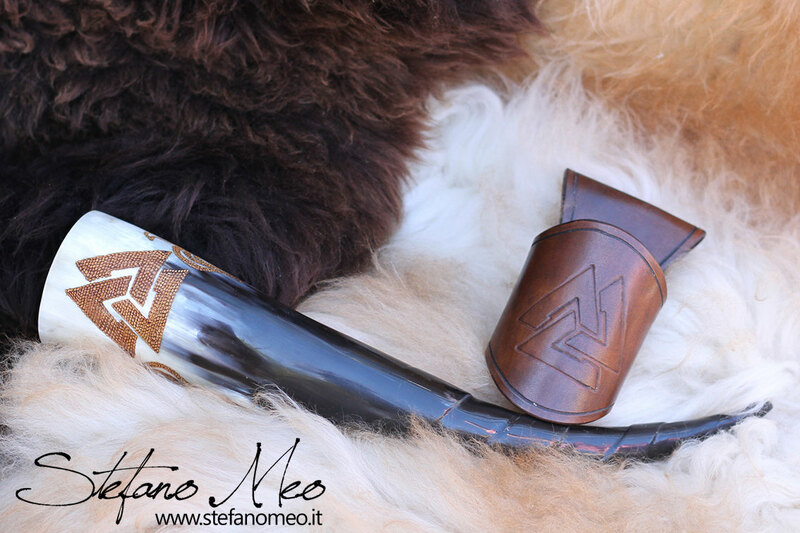 Please join me in welcoming Stefano Meo of Meo Leathercraft as Propnomicon's latest sponsor. He's no stranger to these pages. I featured his LARP alchemist's kit last year after being thoroughly impressed by both his craftsmanship and attention to detail. 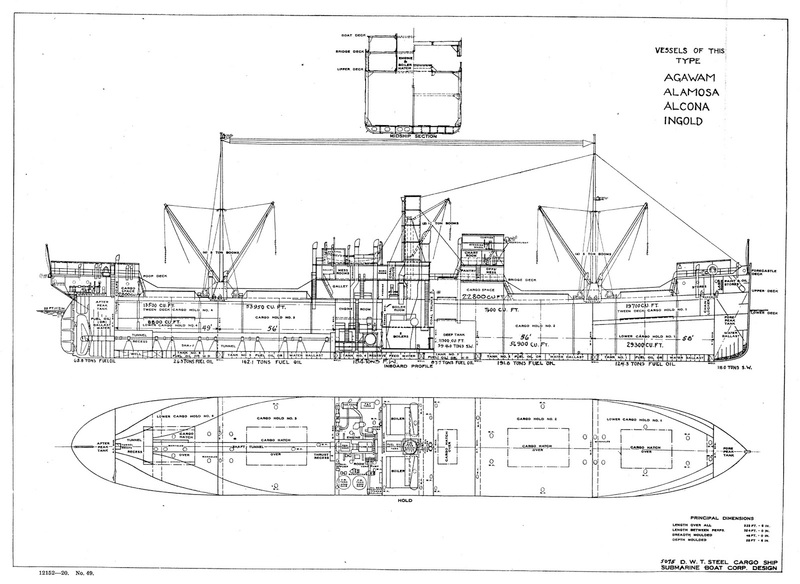 Kits like that are a regular feature here, but his work stood out because of its comprehensiveness. 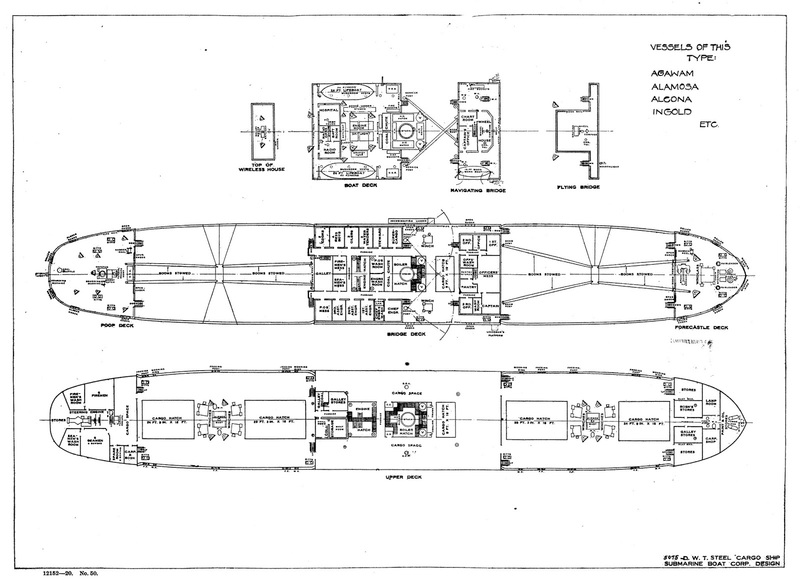 The included items featured a unified color and design theme, something rare in most assembled projects. More importantly, it was functional. 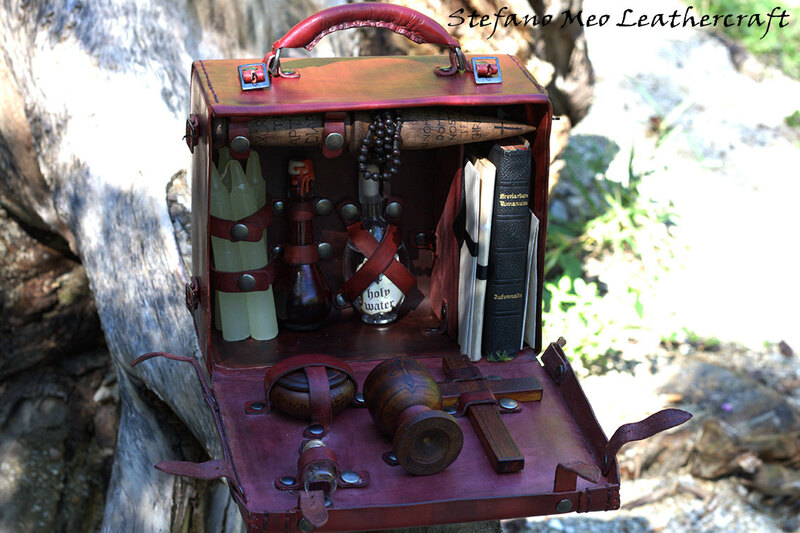 The accoutrements were all strapped in or nestled in purpose-built containers. It wasn't just a display piece, despite the stunning good looks, but something that was actually intended to be used. 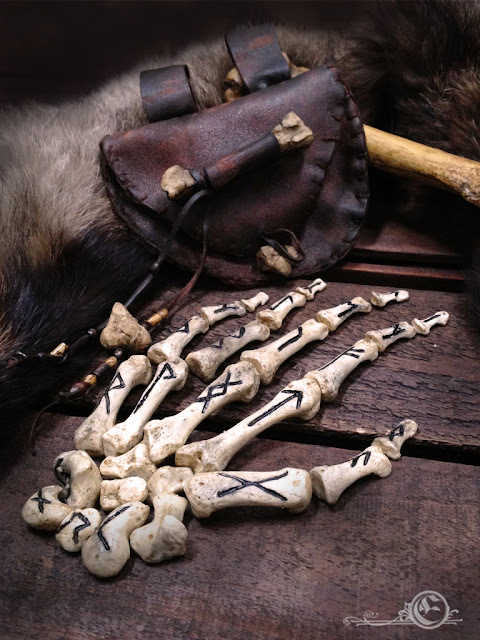 His Etsy storefront features more of the kits that first caught my attention, along with a variety of bags, pouches, custom drinking horns, and other items. 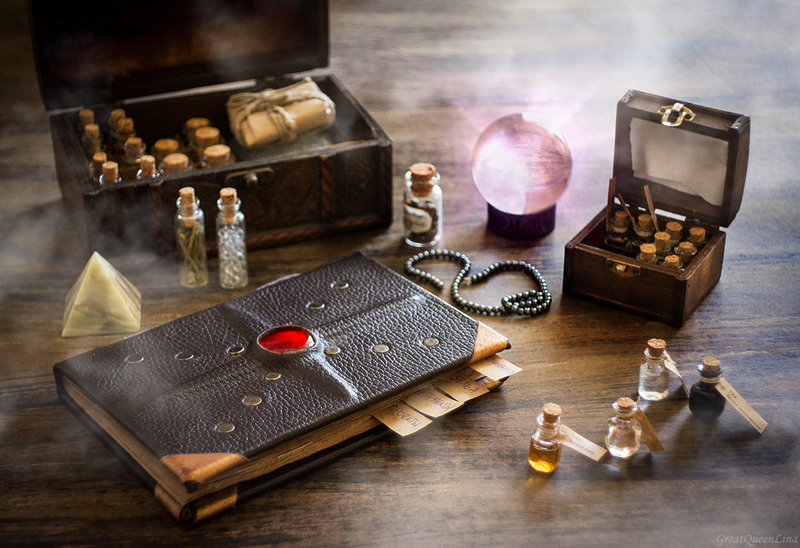 Many are intended for LARP use, but you'll also find contemporary items like smartphone covers, journals, and notepads. As you can see from the reviews they all have the same high level of quality. As a customer myself I can heartily endorse his work and personally recommend his products. To further entice your patronage you can get 10% off any order by using code "PROPNOMICON". This beautiful collection of props and documents comes to us from Dr. Christian Lehmann. 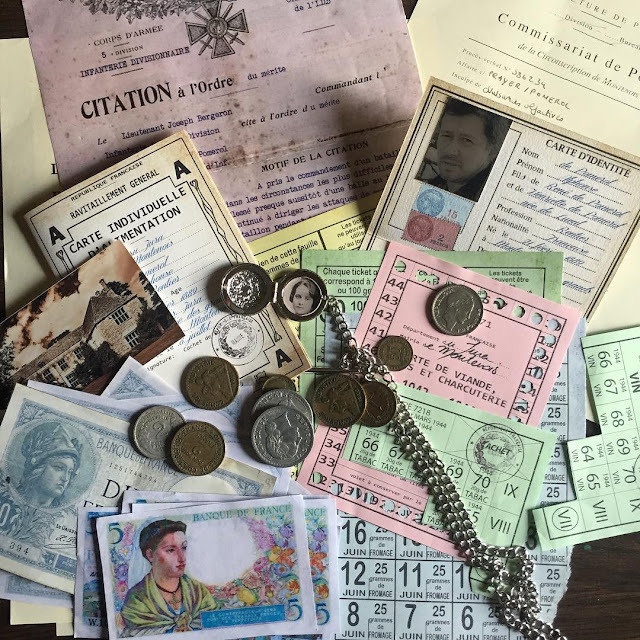 They're part of a LARP set in occupied France during WW II. 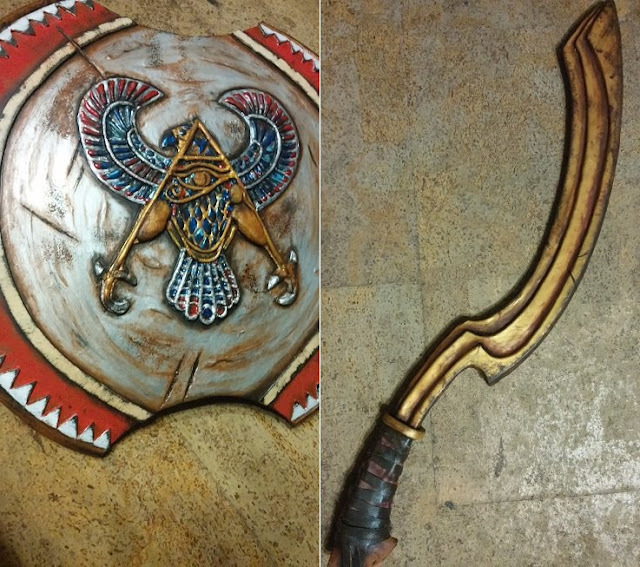 This collection of LARP props comes to us from Russian artist Lina Groza. 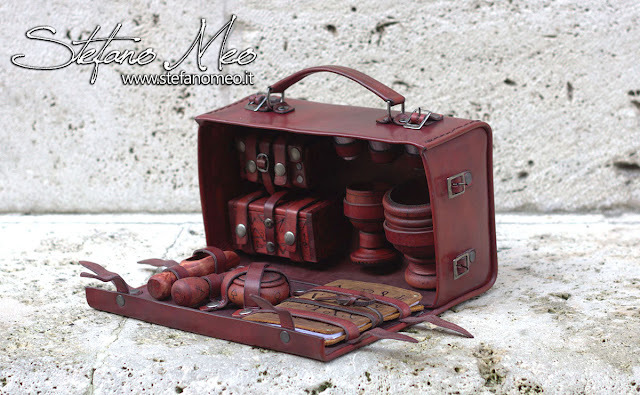 It's a good example of using off the shelf bits to assemble a good basic kit. Heads up- there are some NSFW shots in Ms. Groza's gallery. 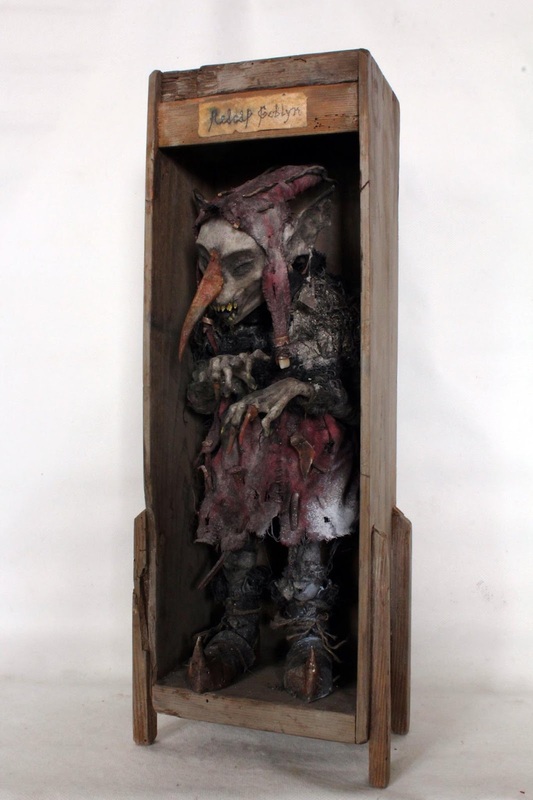 Serbian artist Ivana Vuksanovic brings us her take on the infamous Malleus Maleficarum. 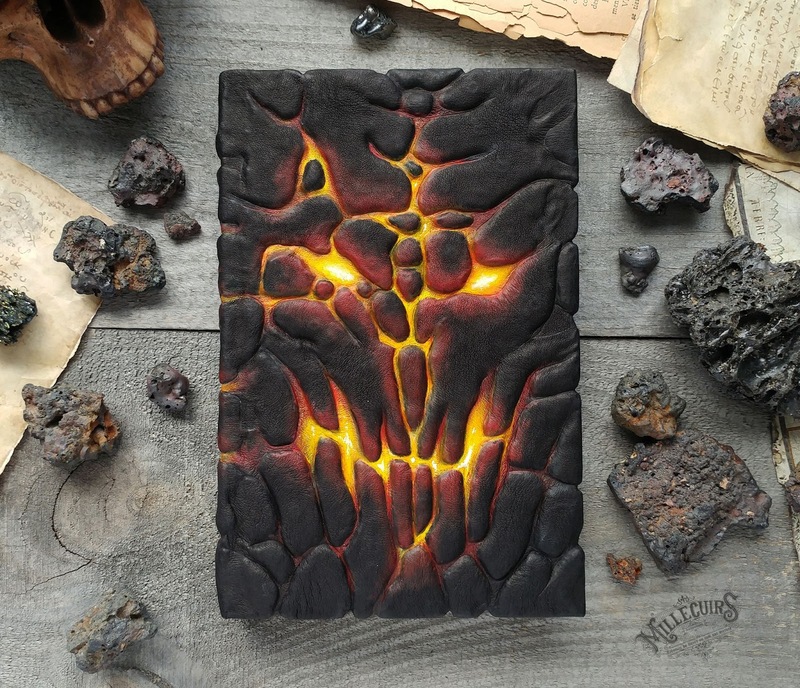 Mille Cuirs returns to our pages with another impressive tome. This time it's the "Grimoire of the Lord of Magma". 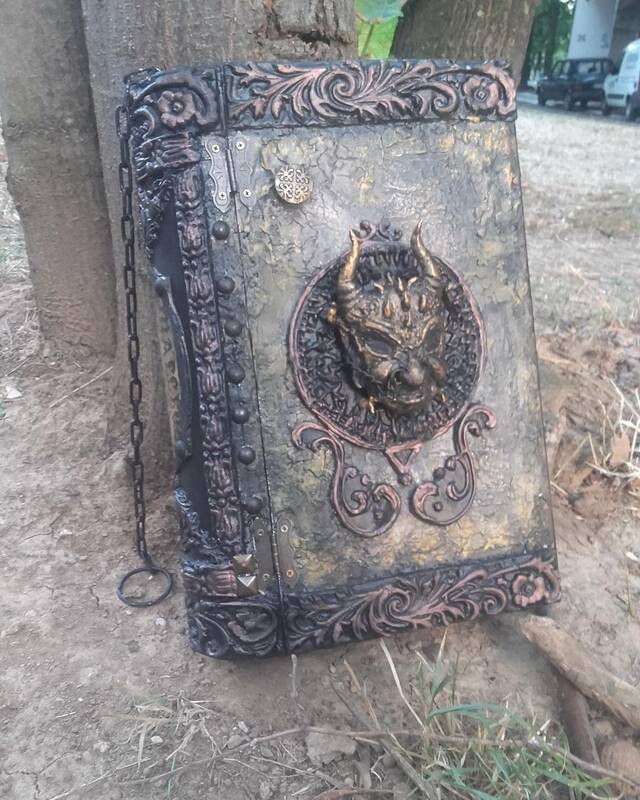 As always, the craftsmanship is amazing. The upcoming "Assassin's Creed: Origins" video game is set in ancient Egypt. The main character is a proto-assassin, one of the Medjay that served the Pharaoh as a personal guard and police force. Blink has already put together an impressive costume and selection of props, all crafted from EVA foam. 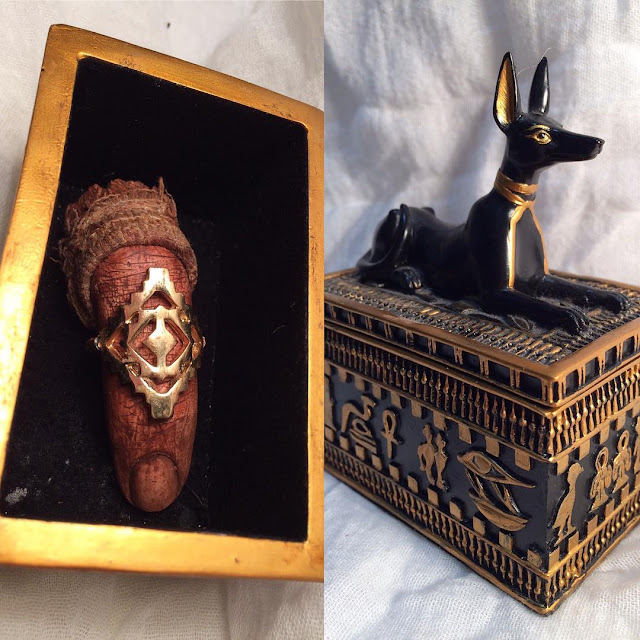 Tom Ellis brings us "The Great Canopic Vessel of Anubis", complete with the dismembered digit of the jackal god himself. 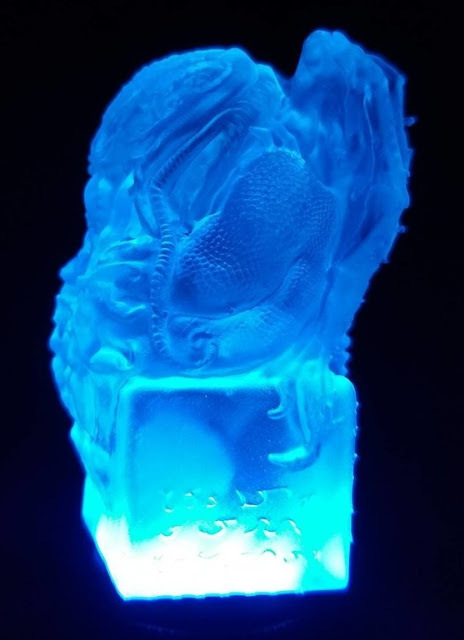 This clear crystal Cthulhu idol comes to us from artist Ken Yielding. 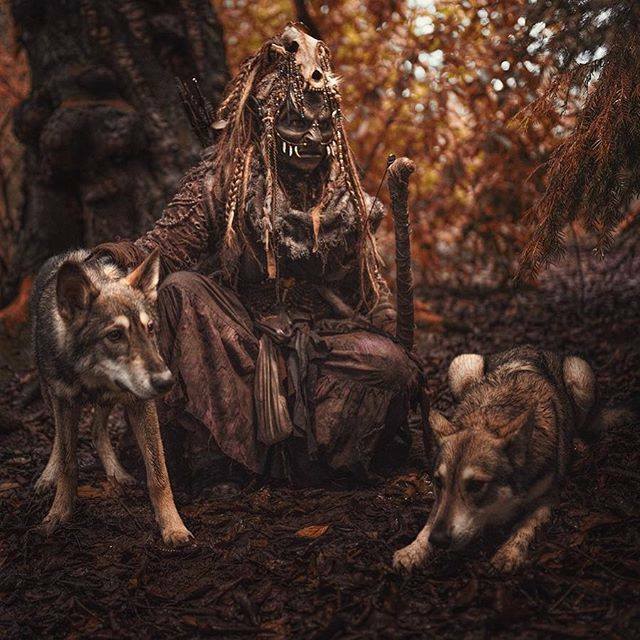 This orc outfit from Sesa Madcap is an awesome example of how layering and multiple textures can really bring a LARP costume to life. Elorhan brings us this set of Futhark casting runes inscribed on human hand bones. The aging treatment does a great job of disguising they're resin. 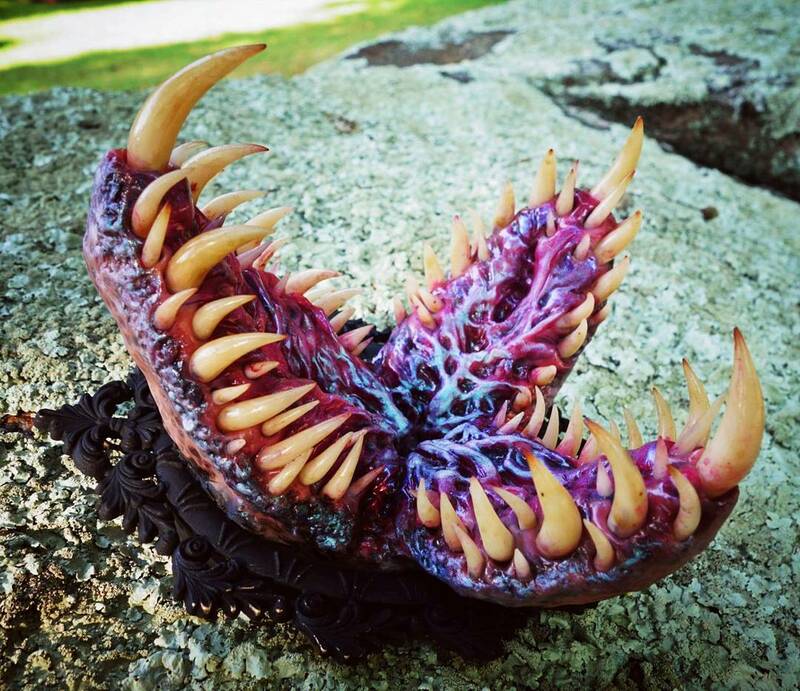 The talented Karen Main returns to our pages with this delightfully icky toothsome maw. 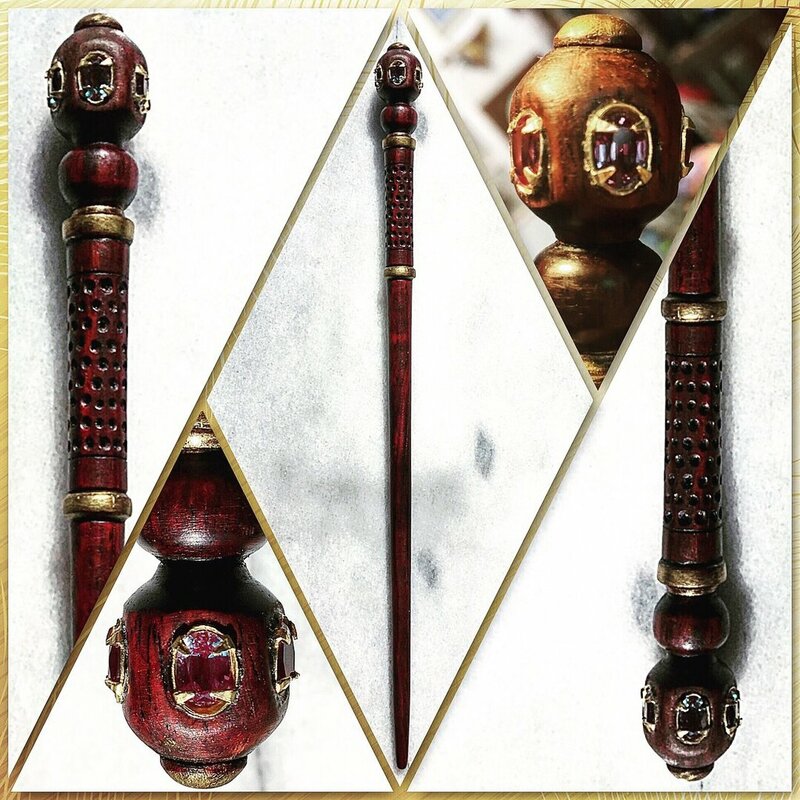 This well done magic wand comes to us from Riverwolf8. Hand carved from rosewood with faceted alexandrite adornments. 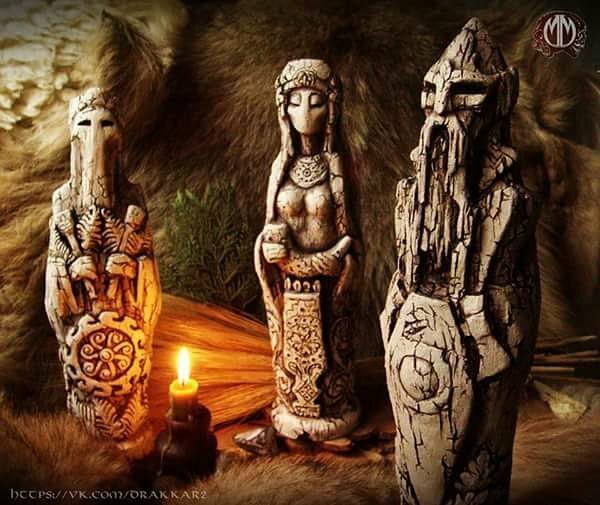 This wonderful tableaux of pagan idols is brought to us by Russian artist Ivan Naumenko. 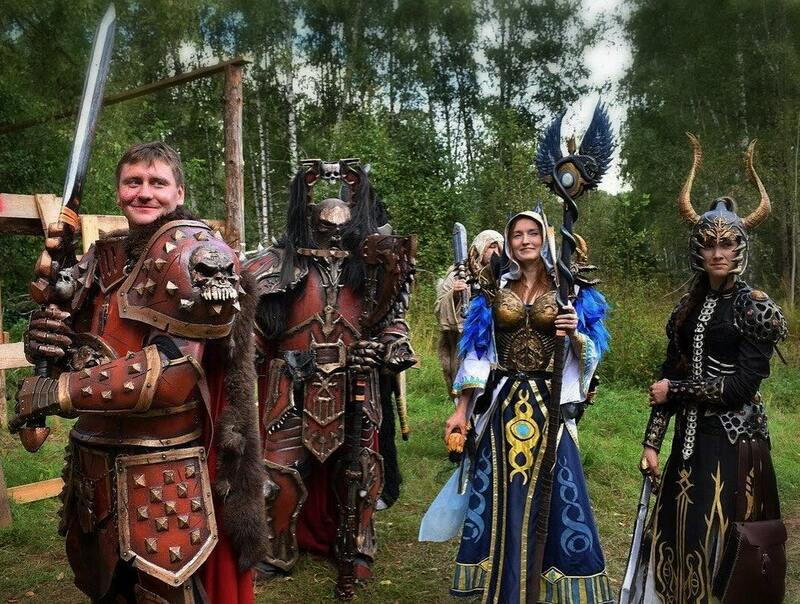 They're part of his extensive line of LARP props. 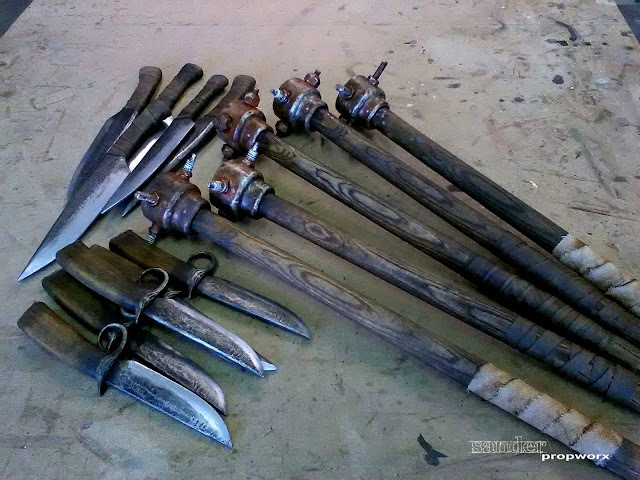 Sander Propworx returns to our pages with this collection of post-apocalyptic weapons for an upcoming LARP. It's amazing that these are combat-safe foam. 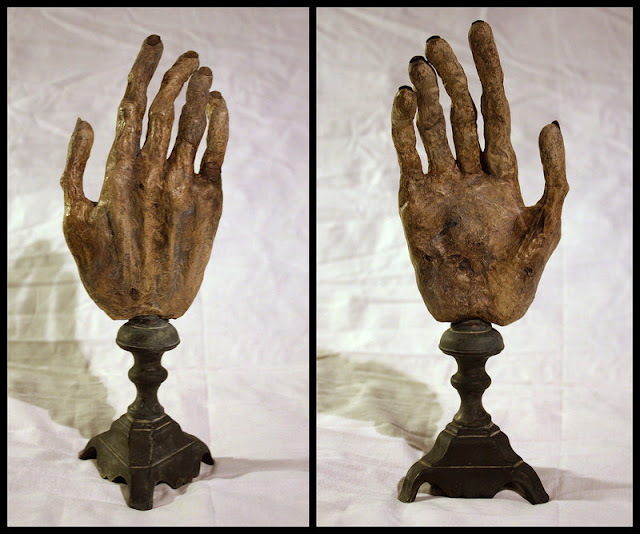 FatherofMonstersFX brings us this nicely done Hand of Glory prop. At first glance I didn't like the fleshiness of the digits and the rounded finger tips. 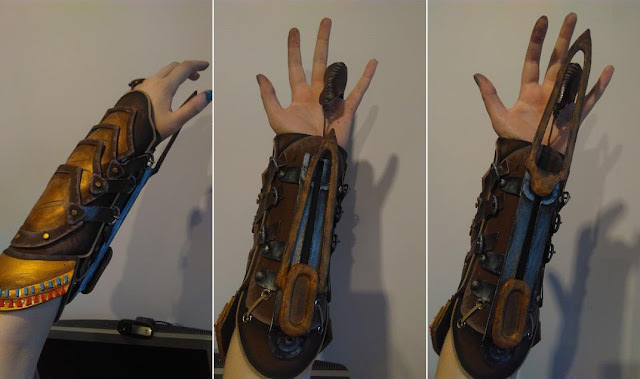 It turns out I was judging it on the basis of how a purely dessicated hand looks. It's actually a good representation of a body part that was pickled in alcohol and then dried. 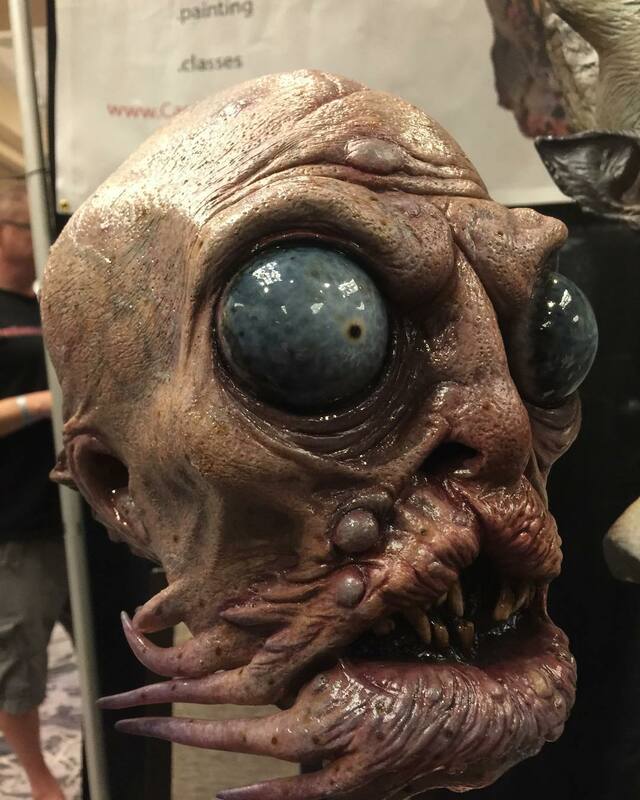 This Deep One hybrid mask comes to us from the gifted Casey Love. 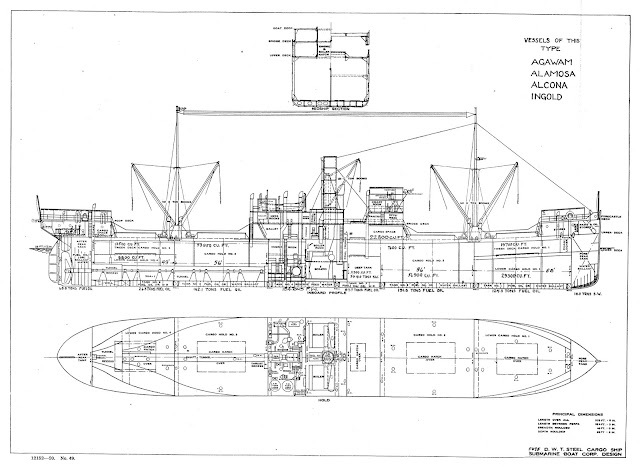 The always useful Shipscribe site brings us the plans for the 5075 ton cargo steamer Alamosa- Side, Full Deckplan. It's just one of the dozens of period ships you'll find in the section devoted to the vessels of the United States Shipping Board, circa 1920. Brutal Forge returns to our pages with a selection of wonderfully well crafted costumes from a Russian Warhammer LARP. 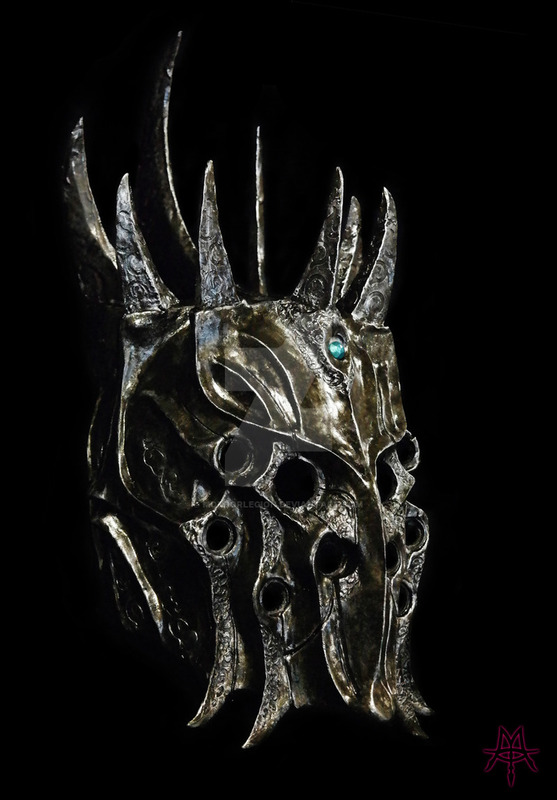 Mordor Legion brings us the Helm of Mor'Amroth, a LARP-safe helmet cast in kevlar reinforced plastic. 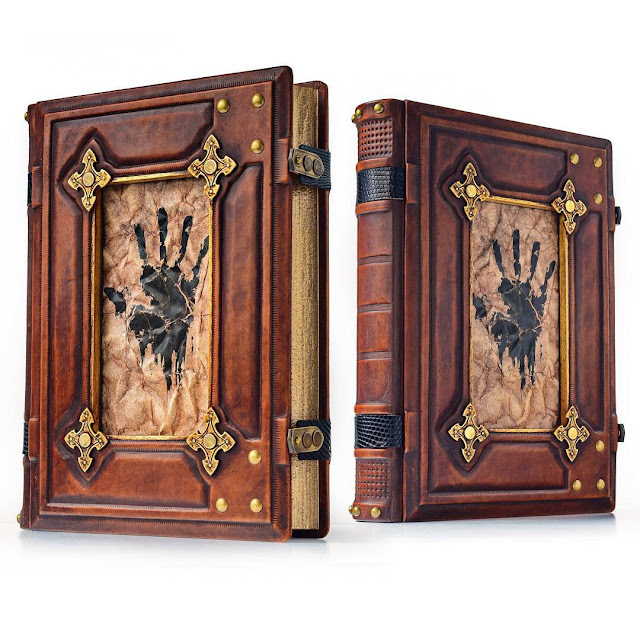 This beautifully crafted tome, featuring hand tooled leather covers, comes to us from artist Alex Libris. 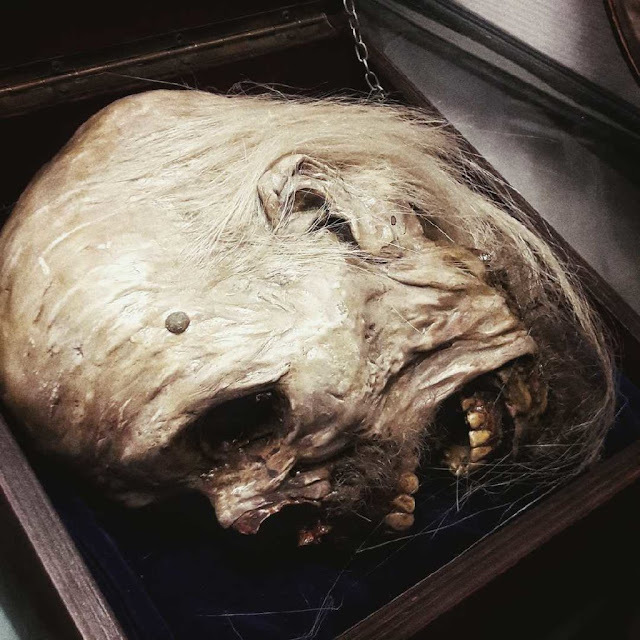 Jacob Petersson returns to our pages with the mummified remains of a particularly horrific species of fae. 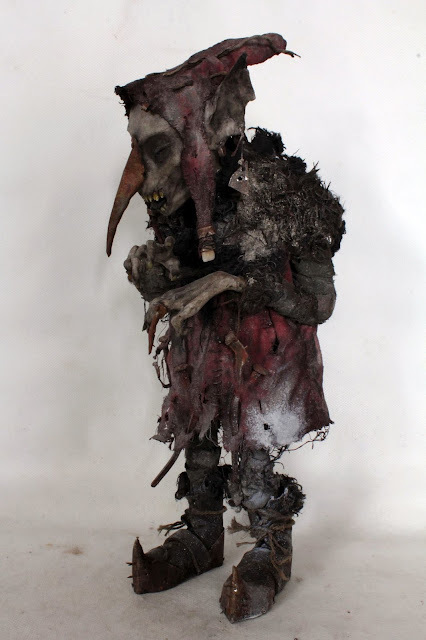 "The Redcap goblins are evil creatures, they reside in ancient castle ruins along the Scottish border, ecpecially those places with a bloody or dark history. 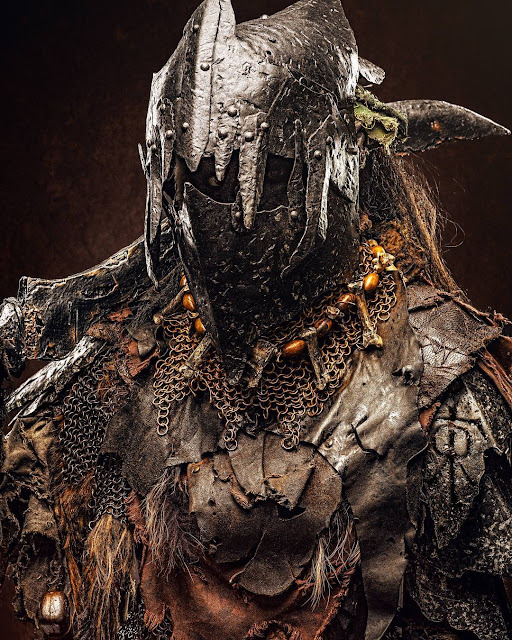 The Redcap traditionally dyes it's cap in the blood of it's victims, should the cap be dry for too long the goblin itself will shrivel up to a dry husk. This one- ”Iron-nosed Fulk” was found by locals between the foundation stones of the Easter Happrew peel tower after a thunderous storm blew it over in the year 1798." 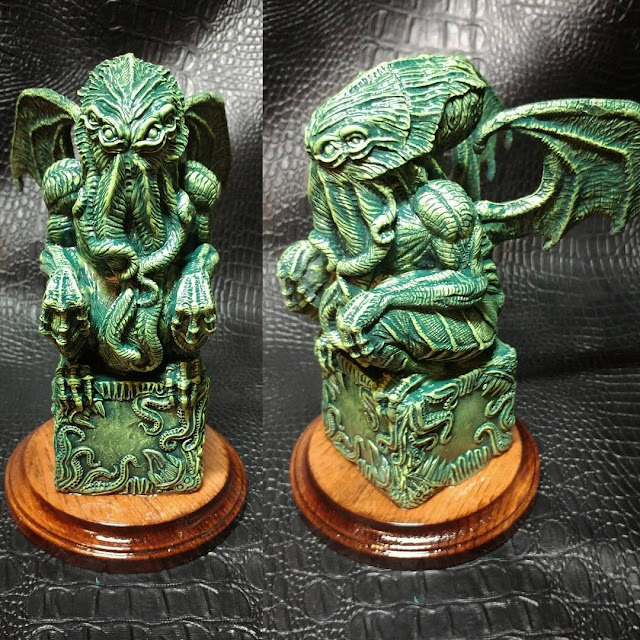 This nicely done Cthulhu idol comes to us from artist Carter Reid. 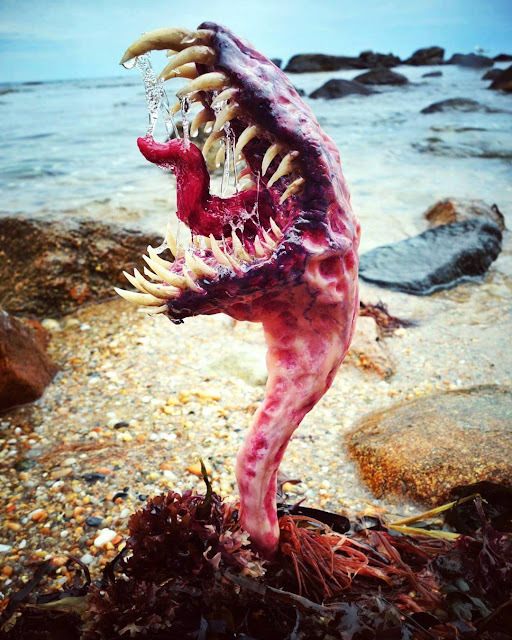 Riptides, toxic algae blooms, carnivorous beach dwellers....Karen Main brings us this curious creature erupting from the rocks above the tideline. Yet another demonstration that Lovecraft had good reason to loathe the sea. I tried to think of an appropriate pun for this, but, alas, good taste prevailed. Karbunkl brings us this...head in a box. When the stars are finally right this will be the height of fashion. 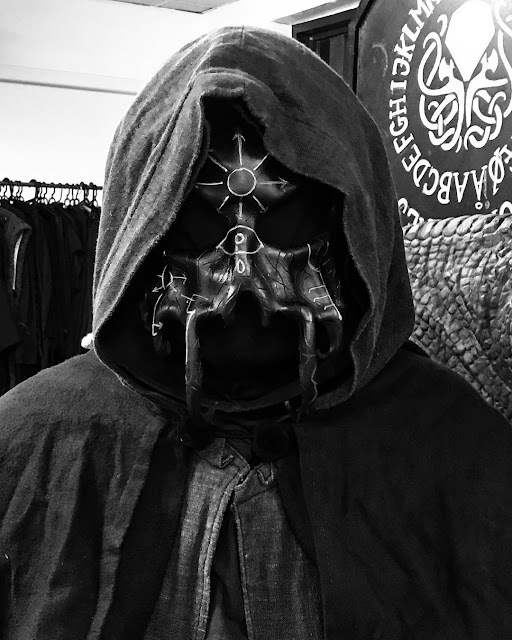 Sebastian Myte brings us his nicely done Cthulhu cultist costume.